DFW/LHR - frequencies increased to triple daily nonstop flights. DFW/GRU - frequencies reduced from 10 weekly to daily nonstop flights. DFW/CDG - capacity being reduced from daily B 772ER to daily B 763ER. MIA/LHR - frequencies reduced from 8 weekly to daily nonstop flights. MIA/MAD - frequencies increased from daily to 12 weekly flights using a B 763ER only. JFK/BCN - frequencies increased from daily to 11 weekly flights using a B 763ER only. Fly Dubai has officially announced that it shall be starting 2 new routes from Nov 23rd 2010 onwards in the Middle East region. It will first be launching new daily nonstop flights to Abha, Saudi Arabia followed by 2 weekly nonstop flights to Ashghabat in Turkmenistan. Both routes will be operated with a Boeing 737-800 and FZ will be the first airline to fly into AHB-Abha airport.Flights to AHB will depart there at 340am three times per week and four times per week at 245pm. British Airways has officially revealed few changes to its international long haul route network for the IATA Summer 2011 season. The main highlights are as follows: PEK - capacity increased from daily B 772ER to daily B 744. YVR - for peak summer season flying i.e. June till Sept, frequencies reduced from 13 weekly B 744s to 12 weekly using the same aircraft type. Aigle Azur Airlines based out of CDG-Paris has officially announced that it successfully launched new twice weekly nonstop services from its home base CDG airport to BGW-Baghdad, Iraq yesterday. It flew the route using an Airbus A 319 departing CDG at 2345 and arriving into BGW at 630am the next day. The state of Qatar and Canada have officially agreed on a new air bilateral accord giving access for the first time each nation's respectively designated national carrier to operate 3 weekly passenger nonstop flights from Doha to any Canadian city + 3 weekly freighter flights. 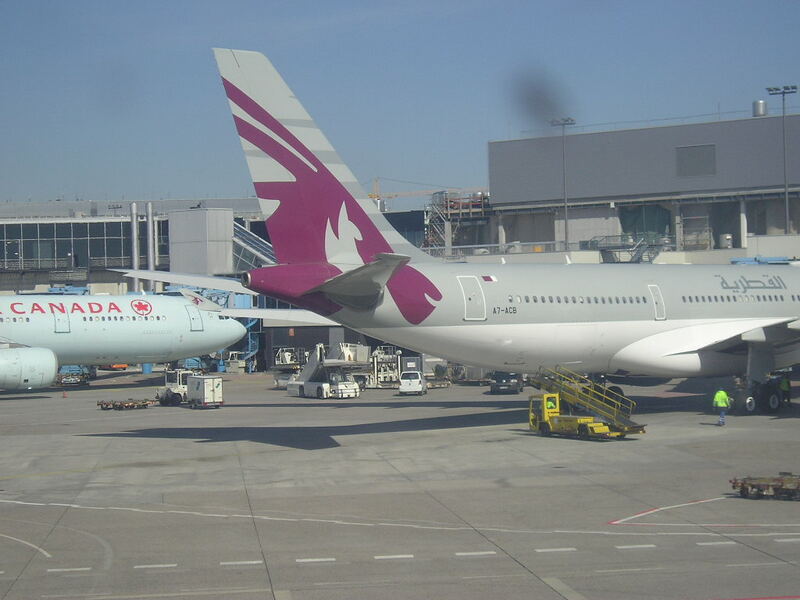 As a result of this new deal, Qatar Airways is expected to announce the launch of new DOH-YYZ (Toronto) nonstop flights for Summer 2011 using a Boeing 777-300ER. QR's commencement of YYZ will be the biggest threat to Air India's monopoly of the Amritsar-Toronto market segment which is currently being operated with a change of plane service via Delhi. HKG - frequencies increased from 4 to 5 weekly nonstop flights using an A 343 once a week and a B 773ER six times per week from Feb 1st 2011. IAD - frequencies to be reduced from the on set from 5 to 4 weekly nonstop flights using an A 332. RUH - frequencies increased from 3 weekly A 333s to 4 weekly nonstop flights using a B 747-400 from Nov 23rd. SIN - frequencies increased from 25 to 28 weekly nonstop flights. HKG - frequencies increasing from 3 to 5 daily nonstop flights. BKK - frequencies increased from 13 weekly nonstop flights to double daily. JED - frequencies increased from 4 weekly to daily nonstop flights using a B 763ER twice a week + B 757 five times per week. BOM - frequencies increased from daily B 757s to double daily nonstop flights operated by a Boeing 737-800X. DXB - frequencies increased from double daily to 18 times per week nonstop i.e. 10 weekly B 772LR + 4 weekly B 737s + 4 weekly B 757s. Lufthansa has officially confirmed that it will be increasing capacity to JNB-Jo'Burg, South Africa from Nov 13th 2010. It was originally supposed to be operating a 3 weekly A 380 + 4 weekly B 744 service for the entire winter period, however this has now been changed to a 5 weekly A 380 + 2 weekly B 744 only. JED - frequencies increased from 3 to 4 weekly flights using an A 333 via AUH. KWI - frequencies reduced from 4 to 3 weekly flights using an A 333 via AUH. Aeroflot has officially announced that it will be increasing frequencies to HKG-Hong Kong, China from the on set of the IATA Summer 2011 season. 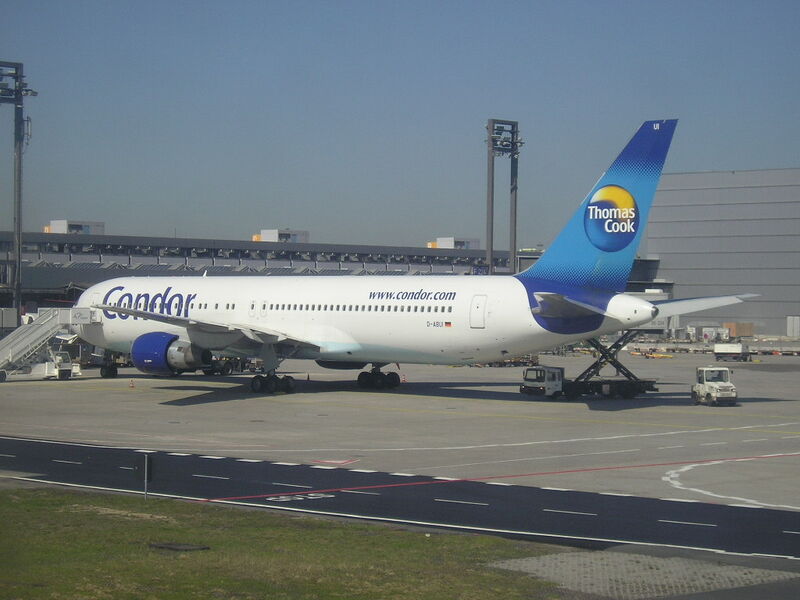 Currently it operates 5 weekly nonstop service using an A 332. These are going to be increased to a daily nonstop flight using the same aircraft type. 24 times per week nonstop terminator services ICN-LAX-ICN + 3 weekly ICN-LAX-GRU + daily ICN-NRT-LAX + 3 weekly ICN-LAS-LAX-ICN. The aircraft variety used for LAX is a daily B 773ER + daily B 744 + 23 weekly B 772ERs. 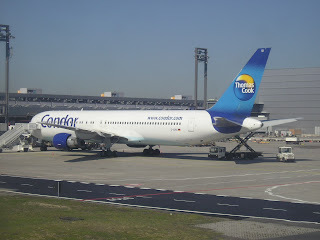 KLM has officially confirmed that it shall be launching new 4 weekly nonstop flights to MIA-Miami, USA from its Amsterdam hub from the on set of the IATA Summer 2011 season i.e. March 27th. KL will be flying this route using its MD11. China Airlines of Taiwan has officially announced that it shall be resuming flights to AKL-Auckland, New Zealand from Jan 1st 2011 onwards. CI will be operating a 3 weekly service routed via BNE-Brisbane using an Airbus A 330-300. It will have 5th freedom traffic rights on the BNE-AKL sector too. Qatar Airways has revealed in the GDS system major capacity changes for its worldwide route network for the IATA Summer 2011 season. BEY - In W10, QR operates 20 weekly nonstop flights to BEY using an A 320 15 times per week + A 321 five times per week i.e. 6090 round trip weekly seats. In comparison, for S11, QR will be increasing frequencies to triple daily nonstop flights using an A 321 eleven times per week + an A 320 ten times per week i.e. 6774 round trip weekly seats aka 664 extra r/t seats...11% capacity increase! MNL - capacity reduced from daily B 77W + daily A 333 to daily A 332 + daily B 77W i.e. reduction of 644 weekly r/t seats. DAM - capacity increased to daily A 320 + daily A 321 in S11 versus 3 weekly A 321s + 11 weekly A 320s in W10 i.e. increase of 264 r/t weekly seats! IKA - capacity increased from 13 weekly A 320s + weekly A 321s to 6 weekly A 321s + 8 weekly A 320s i.e. increase of 440 r/t weekly seats. BOM - capacity increased to daily B 77W from a mixture of daily flights using A 332s / A 346s and B 77Ls i.e. increase of 860 r/t weekly seats! DAC - capacity reduced from 5 weekly A 333s + 6 weekly A 332s to 11 weekly A 332s i.e. 460 less r/t weekly seats! ATH - 9 weekly A 321s + 5 weekly A 320s in S11 versus 8 weekly A 321s + 6 weekly A 320s in W10. LHR - capacity reduced with A 346s gradually leaving the fleet (as they are being dry leased to Aerolineas Argentina) so for S11 it is daily B 77W + 12 weekly A 333s + 6 weekly A 346s versus 10 weekly A 346s + daily B 77Ws + 4 weekly A 333s + 3 weekly A 332s. HKT via KUL - frequencies reduced from daily A 332s to 6 weekly A 332s. CEB - capacity reduced from 3 weekly A 333s to 3 weekly A 332s. ISB - capacity increased from 2 weekly A 333s + 2 weekly A 332s to 3 weekly B 77Ws + weekly A 332 i.e. increase of 272 r/t weekly seats. LHE - capacity reduced from 3 weekly A 333s + 1 weekly A 332 to 4 weekly A 332s. COK - capacity increased from 9 weekly A 321s + 2 weekly A 320s in W10 to 11 weekly A 321s. MAA - capacity reduced to 5 weekly A 321s + 2 weekly A 332s.